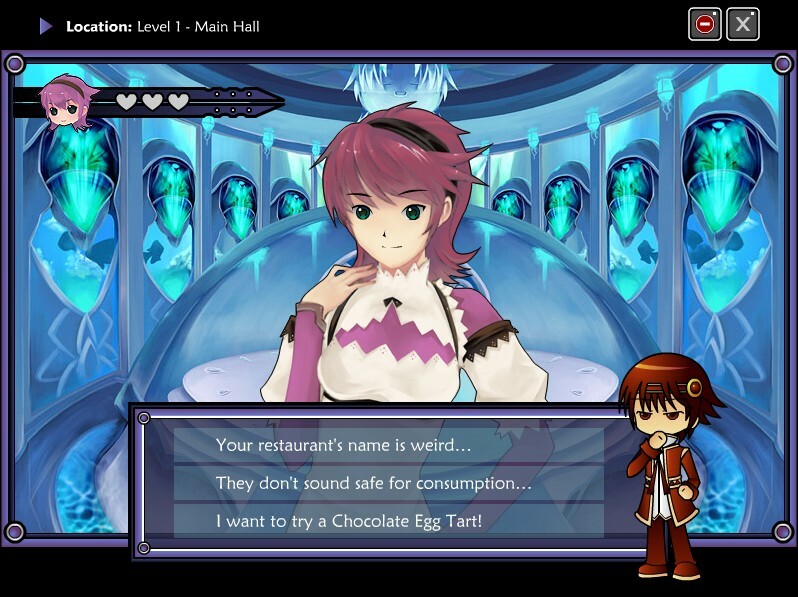 Other Age Second Encounter (OASE) is an indie game developed by Zeiva Inc. A direct sequel to the original Other Age dating sim, OASE is back with a cast of quirky characters to interact with, as a dating sim that plays out like a visual novel. This time, the Prince of Zeiva Empire is sent by his mom on a quest to find his ideal girlfriend. 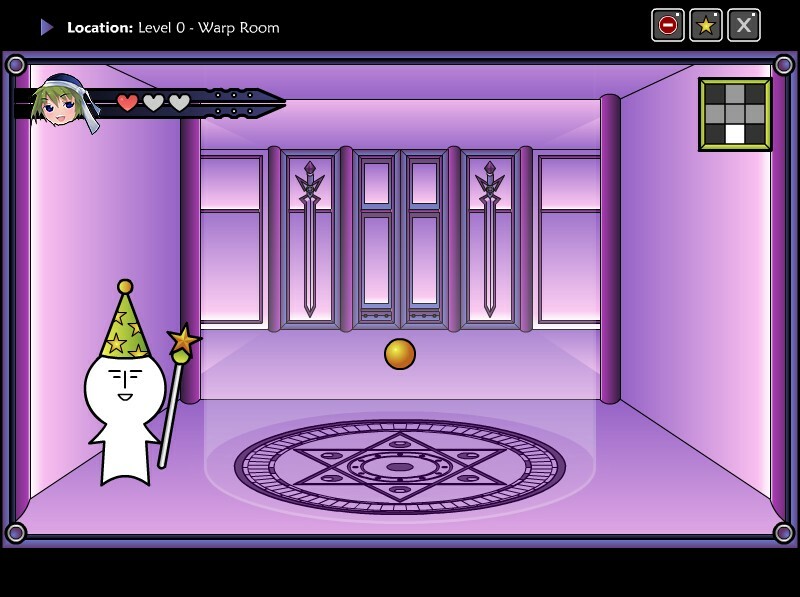 In the first game Other Age, you can summon up to 10 guys from anywhere in the world, even another dimension. There were a total of 31 endings to collect and dates that consisted of simple minigames. 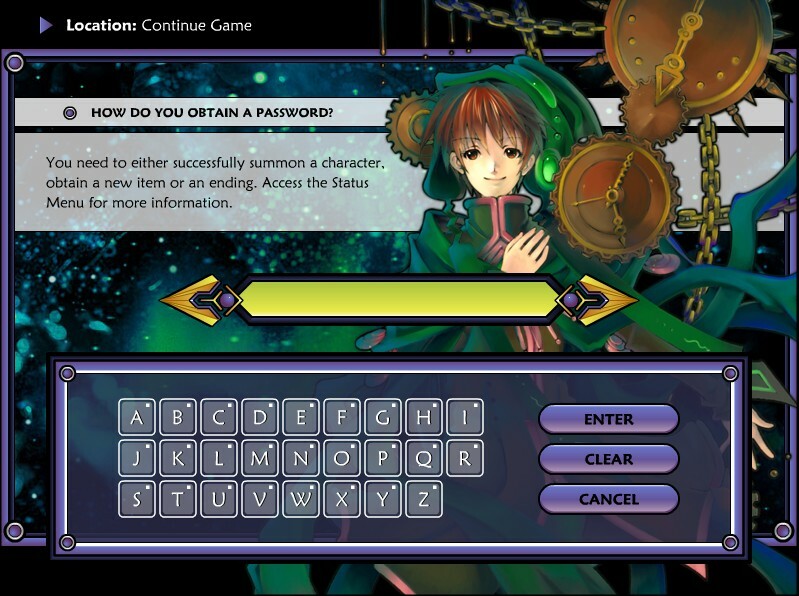 The main character was Princess, whose personality depended on the player’s choices at the beginning of the questionnaire. But in Oase, you are the Prince of an underwater kingdom in a dating sim for guys. This time, the upgraded Luv Luv Nitarou Dynamite is able to summon 10 different girls and two secret characters. You just have to answer questions on a personality test to determine who Prince will go on a date with. Queen Mirage XXIV is visibly upset with an off-putting letter she received from King Mirage XXII who pointed out that the Prince is still 18 and single. She immediately demands her son, Prince to become a “Real Man” by meeting some ladies from an alternative universe or time period. You are able to choose three difficulty levels which may remove the hints and cheats menu. I don’t recommend picking “Hard” on your very first attempt or else you will get a bad ending. Speaking of, this game has 200 quality CGs, 60 endings, spanning around 20-25 hours of gameplay! Each character you summon has a unique backstory determined by whether they belong to the Genetic Glow or Realm Phantasma universe. In case you’re wondering, those are two different games made by the same authors at Zeiva Inc.
Genetic Glow takes place in the futuristic Crystallite era. 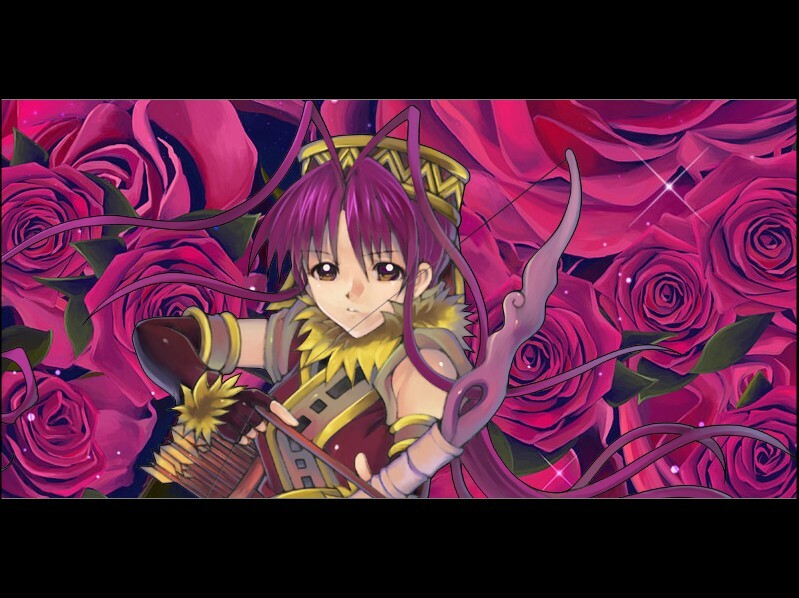 It is a visual novel detailing the travels of Zoui, Zelan, Lenz, and Aeza who are skilled elemental crystallite users. They journey across the land to gain knowledge and collect rare crystallites along the way. Realm Phantasma is set in the past war between humans and demons. Orem is the youngest demon prince who is tutored by his guardian Dornick. His careless actions convinced Rosey to take over the demon kingdom by turning it into a restaurant. The girls from the Genetic Glow games are Zelan, Aeza, Chena, Naoru, and Mist. The girls from Realm Phantasma games are Rosey, Nachel, Lichanti, Athear, and Treegia (who is a guy). There are many combinations to try but some girls are harder to unlock than others. After the beautiful roses float away, you can talk to the girls. 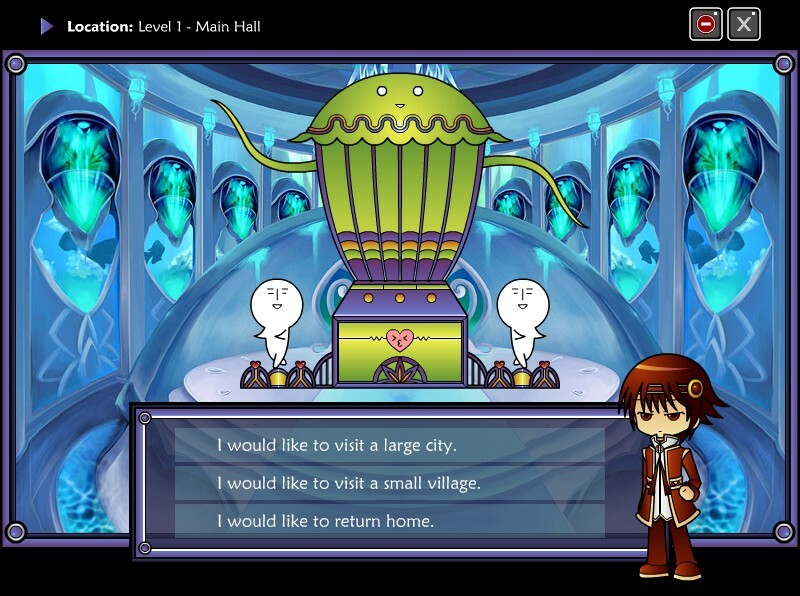 Like most Visual Novels, you are given three dialogue choices. The wrong answers usually stick out. Once you impress your date, they will gain a heart. Next, you’ll be exploring the underwater empire. 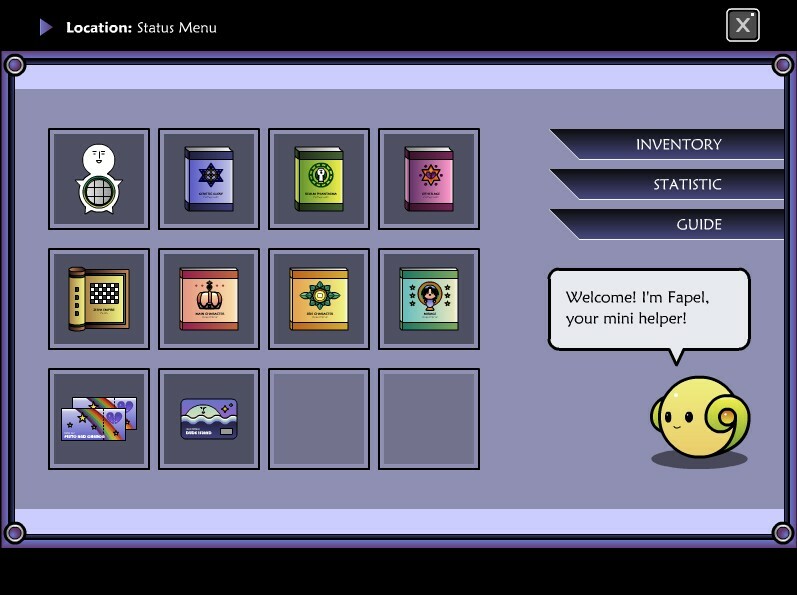 You will be interacting with NPCs and checking the objects in every room. You can move around the castle/theme park by clicking on the orange buttons. Green Mage Nitarou will give you the Dude Locator which is shown in the corner as a 3×3 grid. The star points to the position of Dudes you should talk to. Dudes offer hints and items to assist you in-game. Why are they referred to as dudes? I honestly have no idea. In Mirage Castle, there are several floors you can visit. Go up to Dude Mage to teleport somewhere else. The castle has five floors from the bottom up which are the Colosseum, Main Hall, Shopping Mall, and the Theater. 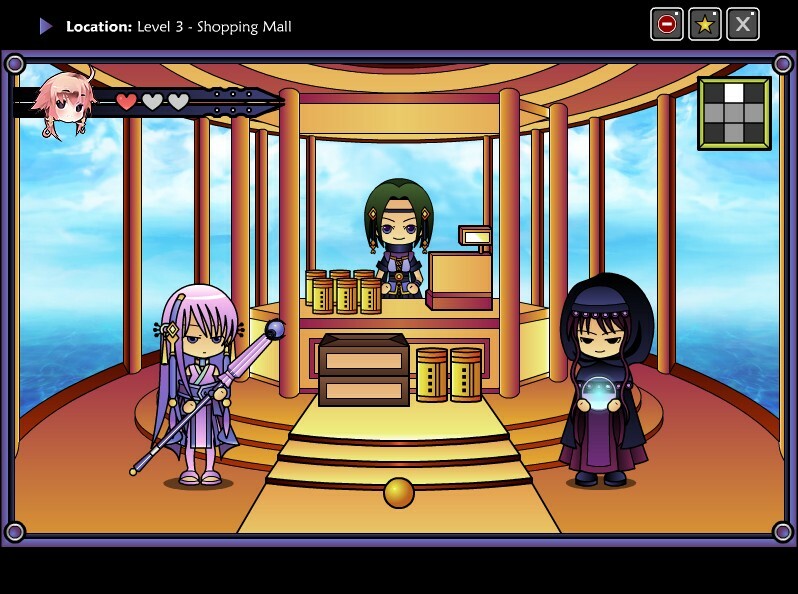 The NPCs present on each floor changes as you summon a different girl in other playthroughs. They might recognize the girl you’re with and try to talk to them, thus unlocking the main quest. On the top right corner are important icons. The star icon lets you access your inventory. The restricted icon has a walkthrough on completing your date. You will receive a bunch of encyclopedias detailing the story behind OASE. Prince may obtain strange items like a rainbow umbrella or a DDR game cassette. You’ll also find a map of the castle interior along with secret manuals containing profiles on all the dateable girls. Of course, if you’d rather read about the side characters, they have a manual for that as well. The little guy in the corner is Fapel, your mini-helper. 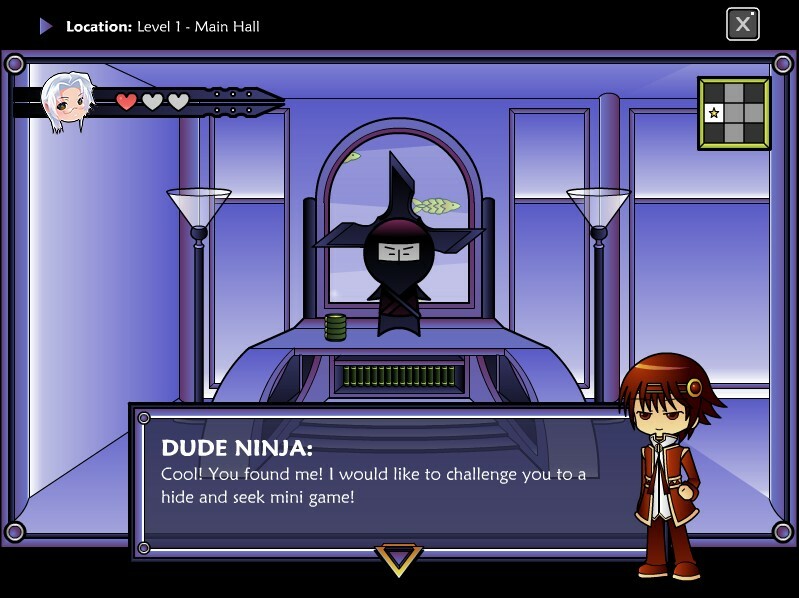 Dude Quest is a hide-and-seek game you play to earn rare items that will lead you to new endings. At the beginning, you are asked to find Dude Ghost. Dude Quests involves a few quick minigames, consisting of sparing with Dude Samurai, taking wedding photos, and locating Dude Ninja, who is hiding in plain sight. No matter which girl Prince hangs out with, you are obligated to sit through a short movie sequence which is different for each girl Prince accompanies. 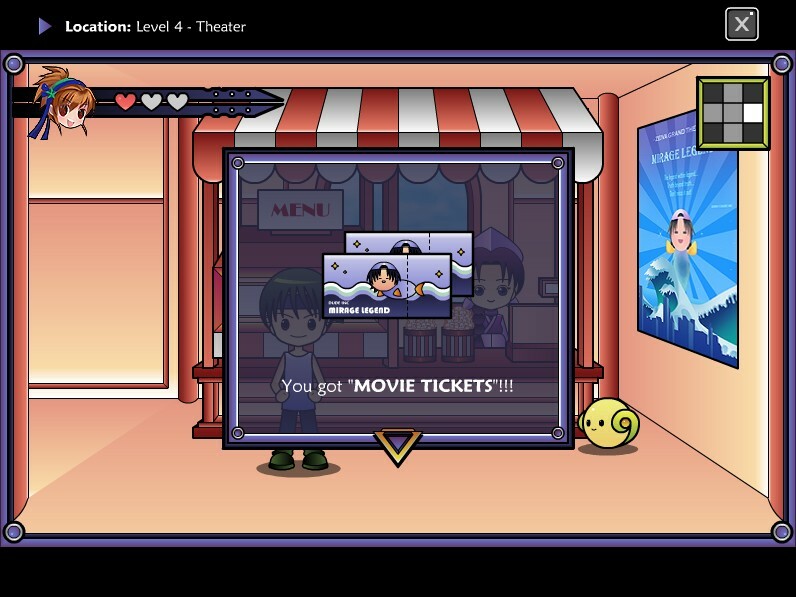 Movie tickets are fairly easy to get. My favorite movie is still Pluto and Charon since it has the best music. Just be prepared to hear Dude Manager’s endless ramblings. I discovered many pointless but fun things to do in OASE: On Level 3, the Shopping Mall, talk to Asta to decorate an umbrella to determine the Prince’s personality. On the right, is Ara, a gloomy fortune teller who enjoys bringing misfortune. Hint: Your lucky numbers point to which cards to draw from Ara. 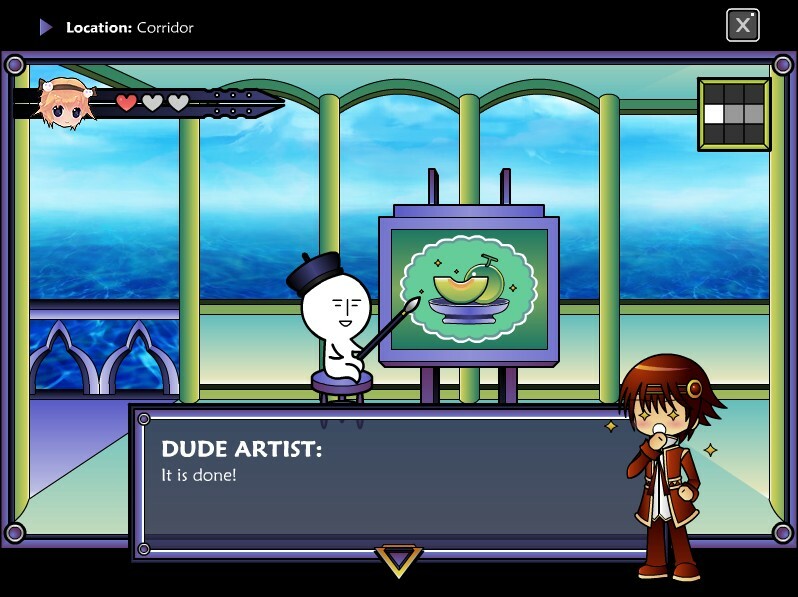 Dude Artist is a background NPC who loves to paint. Unlock a gallery of paintings as you progress through the game. Dude Artist is happy to paint almost theme; weapons, foods, drinks, animals, interiors, exteriors, fruits, crystallites, machines, glowing, abstract, cocktails–and who could forget the legendary Mirage Fish. Assuming you make it this far, Prince will find a nice dating spot. The girls will also change outfits before the actual date, to dress for the occasion. You might have to dig for treasure, mix fruity drinks, drive an air cruise, or attend survival camp to impress your date. However, making the wrong decision could yield devastating but hilarious consequences. If Prince summoned any of these four girls; Aeza, Chena, Rosey, or Nachel, he would need to hop on Jess Express to explore the new areas such as Cloud City and Dude Island. Cloud City is a floating seaport that comes with windmills, snow ports, and a popular air cruise. 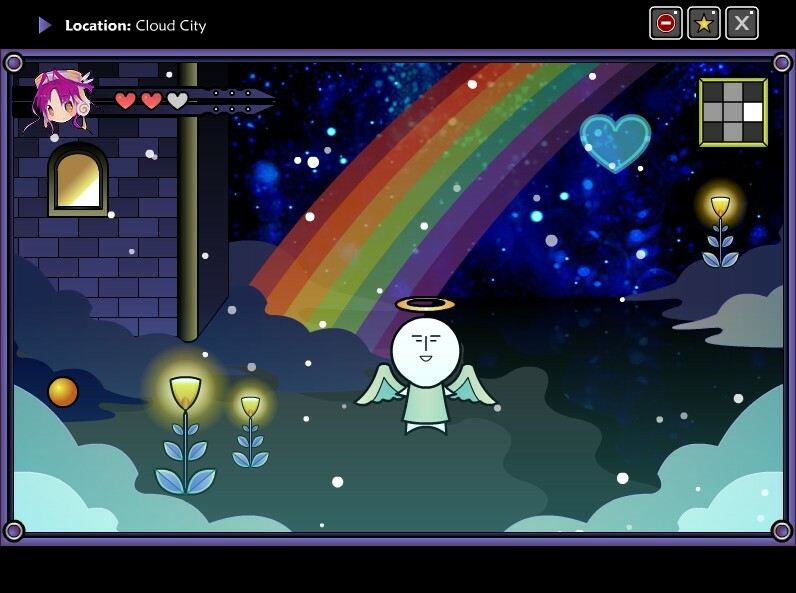 Its current inhabitants are Dude Angels who speak of a rainbow road that only appears at night. Dude Island is a giant dude pretending to be an island. It has clean beaches, camping facilities, and a fishing dock. They host events like a cocktail mixing contest and a seasonal fireworks festival. One of the minigames on Dude Island involves fishing. Good timing is needed to land rare fish as the bar slides back and forth faster. 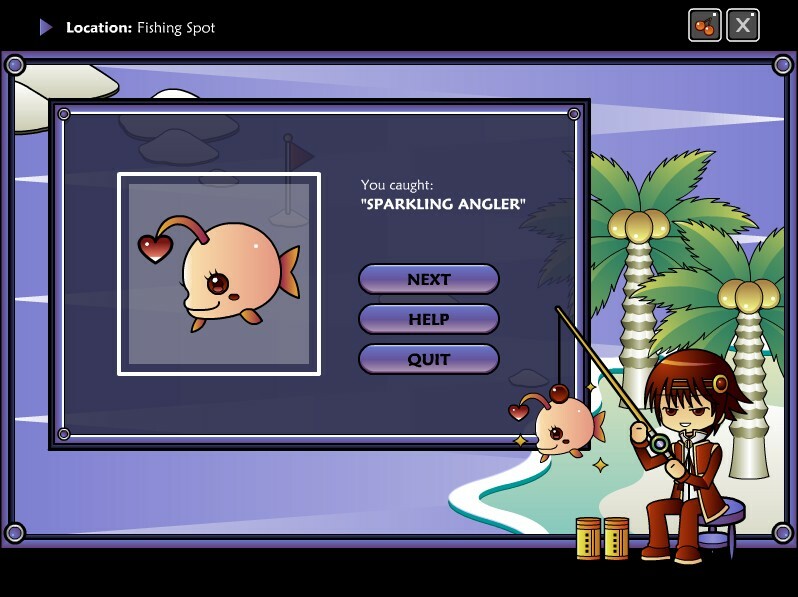 This is a screenshot of Prince catching a Sparkling Angler. Most of these dates are comprised of quizzes, finding hidden objects, and shape matching games. The save system reflects classic NES games where you had to input a password to load the last checkpoint. Yes, that would be outdated by today’s gaming standards. I strongly suggest writing down the passwords at every turn in case you screw up so you won’t have to start from the beginning. The art is definitely up to JRPG standards. But I can’t deny that OASE has notable flaws in its gameplay. Minigames are almost entirely luck-based, having little to do with strategy. I still think OASE would be better as an RPG with exploration elements such as adding a platformer or a basic run and jump stage. As an example, why not give the colosseum opponents more attacks and crystallite resistances. Animating the fight scenes would make them enjoyable to the player. The other problem was how short the endings are in general though I can’t blame them, since creating CGs is very time-consuming. The endings would be a great opportunity to develop the girls’ backstories. A bit of character development would go a long way towards making the girls memorable rather than letting their personalities be the sole defining trait. I’m not talking about the romance but the dialogue is pretty bare bones.